As the founder and Principal of AG Financial, Aaron Graham brings over 15 years of experience in the investing and estate planning fields. In his role, Aaron takes a focused approach to wealth management, guiding clients and families through investing, retirement and everything in between. Prior to founding AG Financial over a decade ago, Aaron spent 5 years in the financial services sector as an advisor with Prudential Securities before moving on to Paine Webber as a VP of Investments. While he accumulated invaluable expertise during that time, Aaron quickly realized that a more personalized, hands-on approach was the only way to achieve the best results for his clients. With that in mind, Aaron launched AG Financial and has since grown the firm into a successful independent company in Utah. Aaron received a BS in Finance from the University of Utah where he also played varsity baseball before attending graduate school at Westminster College. He also earned his Certified Trust Financial Advisor (CTFA) designation in 1999. As a registered principal with United Planners he holds FINRA Series 7, 9, 24, 63 and 65 licenses. He also holds various state insurance and securities licenses. 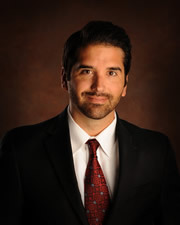 Greg Oda has been with AG Financial for nearly four years and during that time has provided the firm's clients with a wealth of investment expertise. Having collaborated closely with Aaron for many years, Greg is integral in maintaining the exceptional service AG Financials' clients have come to expect. Leading up to his time with AG Financial, Greg was at Morgan Stanley where he first began to hone his skills in the investment world. 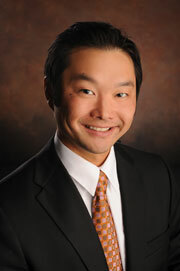 Prior to his time with Morgan Stanley, Greg taught English in Japan while he studied business. Greg is a graduate of the University of Utah earning a BA in Finance and a graduate of Weber State University with a BA in Accounting. As a registered representative with United Planners, Greg holds his FINRA Series 7, 66, 31, and various Life and Health insurance Licenses. For the past 21 years, Nicole has worked in financial client services. Working closely with AG Financial’s clients, Nicole is responsible for managing day-to-day operational needs, and account maintenance. 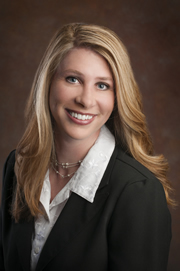 Nicole began her post-collegiate career with Zions Bank in Commercial Lending before moving on to Corporate Banking. During her college years, Nicole enjoyed working for a local physical therapy office handling their accounts receivable and collections. Nicole graduated from the University of Utah with a Bachelor of Science in Consumer Economics and Community Studies. She later completed accounting and financial analysis courses, provided through Zions Bank.